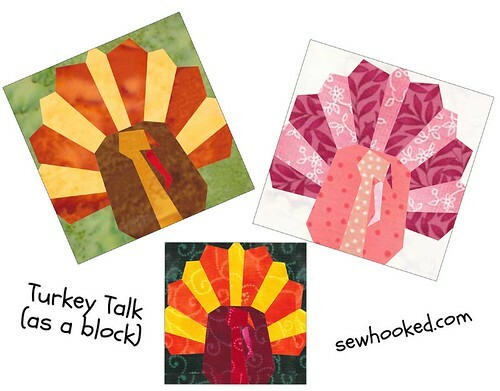 One Day Only, get Turkey Talk for just $4.00 (regularly $6.50)! Includes a 12” (12 1/2”) paper pieced block pattern with instructions to make this cute embroidered turkey wall hanging. Sale ends 9am CST, Monday November. 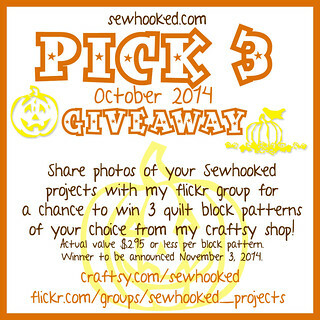 Stop by Sewhooked on November 20, 2014 for my block and a fun giveaway! Looking to buy Quiltmaker Magazine? Here’s an easy link for current and past issues! I will also signed copies for sale in my Etsy store once this issue has been released. Click on the banner to go Sewhooked flickr group. Winner to be announced tomorrow, November 3, 2014! 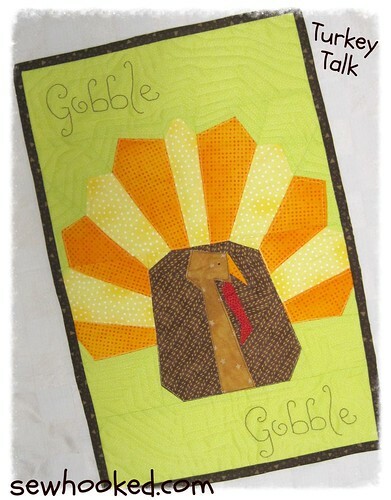 This entry was posted in Craftsy, shop and tagged craftsy, sale, turkey talk on November 2, 2014 by Jennifer Ofenstein.